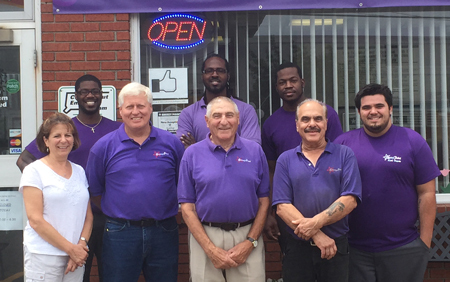 Welcome to Breezy Point Domestic Repair, an established auto repair shop in Stratford. We specialize in Ford Repair is a part of our daily routine. You can be sure your vehicle will be serviced by highly-qualified automotive technicians with consistent quality and care, no matter what type of repair. As your premier auto repair shop in Stratford, our highly trained automotive technicians take pride in every Chevrolet Repair that rolls through our shop. Does something feel off when driving your Chrysler? At Breezy Point Domestic Repair, we offer everything from basic maintenance services to advanced Chrysler Repair for all models. Stop by to make sure your vehicle performs at its best. A Dodge vehicle's versatility can never be overstated. No matter the wear sustained in your adventures, you can be sure our Dodge Repair team will get you back on the road as soon as possible. "Gary and his team go above and beyond to satisfy.."
"I have been servicing my Ford Taurus at Breezy since.."
"I thank God every day for Breezy Point Auto repairs And.."
"World Class Service provided.That says it all! In this day.."
"I would tell them that their service was excellent and.."
"I would definitely refer friends. I felt very comfortable.."
"I would tell them that Breezy Point Auto Repairs, Inc..."